Some time ago I was looking for possibility to have functionality similar to ‘Blame’ – in Subversion – into Visual Studio for Source control. After some time just found what I’m looking for. It’s called Team Foundation Server Power Tools. It doesn’t contains only functionality for blaming your colegues, there is a lot more. Use the history command to display the revision history for one or more files and folders. The /followbranches option returns the history of the file branch?s ancestors. Use the tweakUI command to modify Team Explorer client connection values. ?This command enables you set various connection settings. ?In addition, this command enables you to define the client certificate needed to connect to a Team Foundation Server that has been configured to require client-side certificates. To be honest, I still think that is better to use SVN as source control, many times we have problem with MS source control. Some files is not possible to get from repository with ‘Get latest version’ command, it doesn’t recognize files which are not modified but were saved. 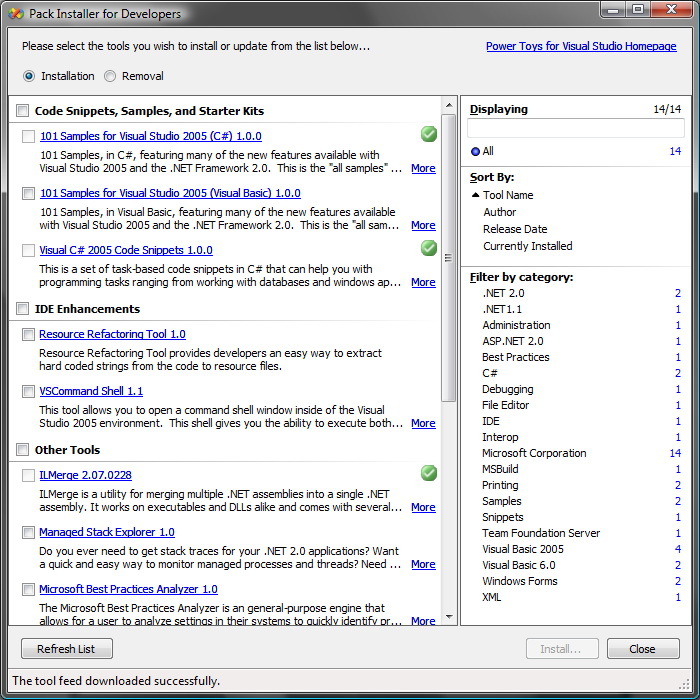 Power Toys for Visual Studio are small tools that provide aid to developer pain-points or assist in diagnosing development-related issues. In addition to providing support, the power toys are released as Microsoft Shared Source to provide sample code to real-world solutions and allow for collaborative-development. 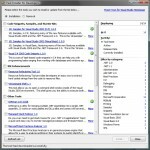 The Pack Installer is your one-and-only tool for staying up-to-date with all community releases for Visual Studio and development. The 1.0 version is now available as a Shared Source Release on CodePlex. Last release includes new UI improvements, file download verification, and the availability of the Pack Installer specification and test plan. I’m often to blogging and i truly appreciate your content material. The article has really peaks my interest. I’m going to bookmark your website and keep checking for new information.